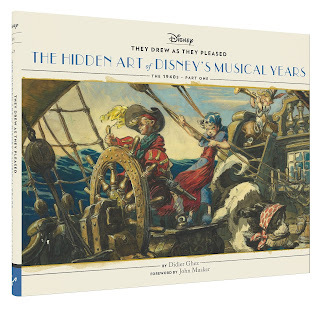 Quite a few reviews were released yesterday about The Hidden Art of Disney's Musical Years, but I particularly enjoyed this one which beautifully shows the interior of the book and really "gets" what I am trying to achieve. I am juggling too many balls at the same time and therefore make mistakes from time to time. John Canemaker noticed one of them today. [The photo of Benchley, Walt, and a young Ken Anderson are sitting with an Asian woman who, I believe, is mis-identified as Gyo Fujikawa. John is totally correct, of course! I am glad to announce that They Drew As They Pleased - The Hidden Art of Disney's Musical Years was officially released this morning. NPR Marketplace conducted a short interview with me about the book yesterday. Some of you might enjoy it. I love this candid behind the scenes shot from The Reluctant Dragon. 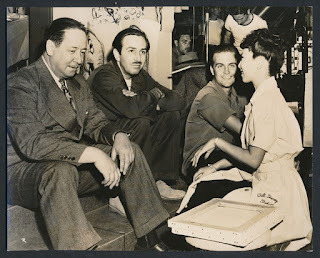 Robert Benchley and Walt Disney on the left, of course and Disney artist Gyo Fujikawa on the right. 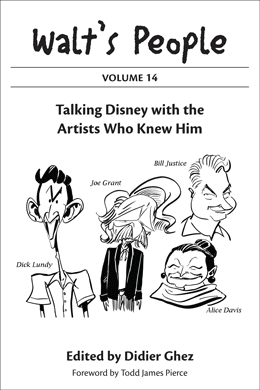 Quick reminder: Tuesday next week will mark the official release of They Drew As They Pleased - The Hidden Art of Disney's Musical Years, the second volume of the They Drew As They Pleased book series, which contains even more never-see-before artwork than the first volume and which explores areas of Disney history that have never been discussed before. As you can tell, I am particularly proud of this book and I have a feeling that all of you will really enjoy it. 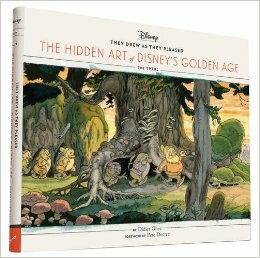 It features 5 fascinating Disney concept artists: Walt Scott, Kay Nielsen, Sylvia Holland, Retta Scott and David Hall and hopefully will soon be considered a "must have" by most of you. 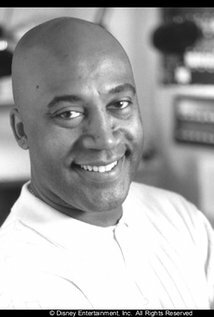 Would any one of you know personally and wellformer Disney-director and talented artist Pixote (Maurice) Hunt? If so, could you please email me at didier.ghez@gmail.com? 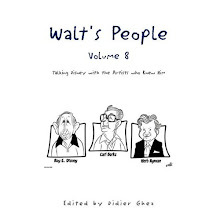 I need to interview Pixote about his friend Walt Peregoy but I have not managed to get through to him yet. 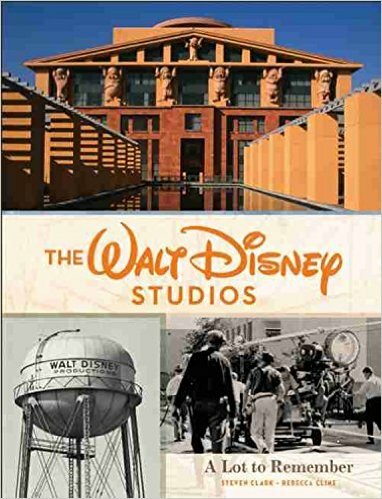 September 6 will see the release of the long-awaited book The Walt Disney Studios: A Lot to Remember. 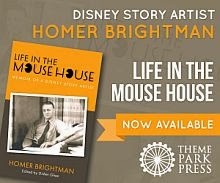 This is the first book written by the director of The Walt Disney Archives, my good friend Becky Cline. I have been looking forward to this book about the history of the Burbank Studio for a very long time and I am not diappointed. 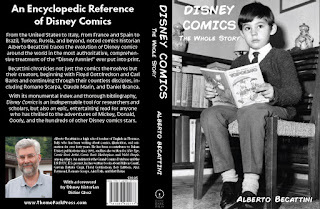 Yes, I would have loved to see even more photos and more text but that is true when I discover any good book about Disney history. 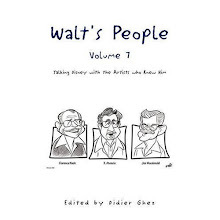 This volume is full of great illustrations that I had never seen before and when it comes to the text Becky made sure to tap into sources that have not been exploited often (like a great early interview with Bill Garity). The book is aimed at a fairly large audience so by its nature it has to cover some ground that was already covered in many books before, but there is a conscious effort to also explore little known facts and events. This is a "must have" and a book most of us will thoroughly enjoy for years to come. 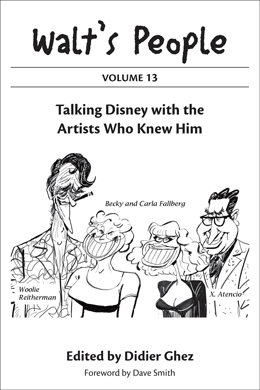 I wish a similar volume existed about the Hyperion Studio. I just ordered this new DVD this weekend on the advice of my friend Todd James Pierce and am looking forward to watching it when it arrives. [A copy of the bilingual Italian-English edition of Walt in Wonderland by Russell Merritt and J.B. Kaufman once owned by Ollie Johnston was sold during Howard Lowery's most recent auction (). It was inscribed: "For my good pal, Ollie, Merry Christmas — and a Happy '94! With much affection, and all best wishes — Mark." The Disney Books Network was updated yesterday. I am about to pre-order this Blu-Ray. Good news: Michael Barrier is back online and blogging. Do not miss his latest post at this link. 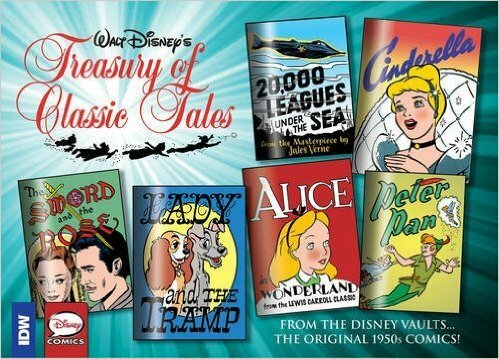 Disney Comics - The Whole Story has finally been released in English thanks to Theme Park Press. Alberto Becattini is THE worldwide Disney-comics expert (along with David Gerstein) and his book is THE definite history of Disney comics around the world. A "must have" which fills a huge Disney history gap. 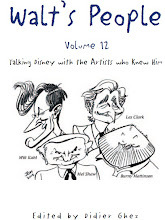 Dave Lee from Australia conducted a long interview with me this weekend by Skype about They Drew As They Pleased - The Hidden Art of Disney's Musical Years and posted it on YouTube. I found the format really fun and enjoyed the experience tremendously. This will provide you with a view about the making of the book. Enjoy! 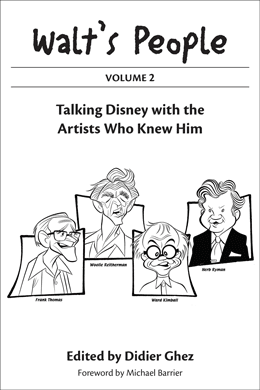 Only two weeks until the release of They Drew As They Pleased - The Hidden Art of Disney's Musical Years. If you want to have a look inside, follow this link. And I just granted an interview to Mousetalgia about the making of the book which you can listen to by following this other link. I have just had a chance to see the interior of The upcoming book from Taschen The Walt Disney Film Archives: The Animated Movies 1921-1968 and while I have not yet read the text, I can already tell you that this book is a masterpiece. 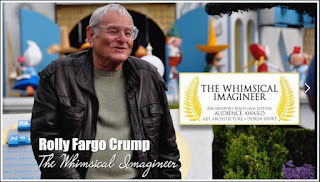 It is an absolute beauty and a dream come true for Disney historians and Disney history enthusiasts. I had a chance to interview the editor of the project, Daniel Kothenschulte, who shared the story of the genesis of the project and a lot more. Didier Ghez: Can you tell us about the genesis of the project? How was it born and how did it evolve? Daniel Kothenschulte: To make a short story long: A moment that had a huge impact on my life was when I first saw Christopher Finch’s The Art of Walt Disney in a Cologne book store not long after it had come out. I was about seven at that time and adored the first Disney productions I had seen, The Jungle Book, Peter Pan and Robin Hood. This magnificent book just blew me away. 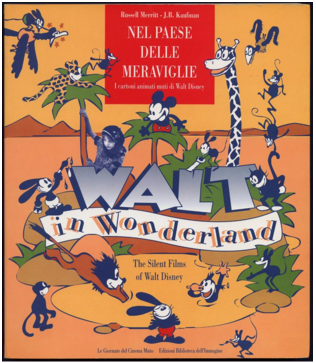 I had not seen a book that huge and the fact that such a massive tome was published on Disney was mind-blowing to me. I moved page after page and learned about the existence of a film called Fantasia. 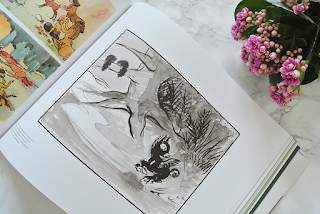 There was a double-spread that even touched another love of my childhood, dinosaurs! The only thing I did not like about the book was its price, 124 Deutschmarks. Unaffordable to my parent! However, the book-seller, a nice lady named Frau Linte who still runs the film book section at Koenig’s book store 40 years later, made a great suggestion. She said, “Why don’t you come here as often as you can and have a look? Nobody will buy it anyway.” I followed this advice up until the sad day when the book was gone. Somebody had bought it! 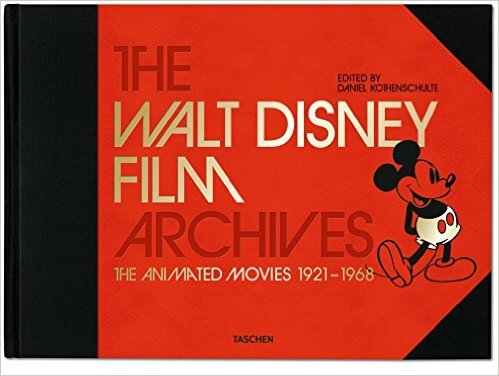 I often wondered who that person was, but when I told it to Benedikt Taschen he said, “Maybe it was me!” However there was another newly published book that I could afford: Leonard Maltin’s The Disney Films. My father read it to me, translating it into German just to feed my thirst for education. 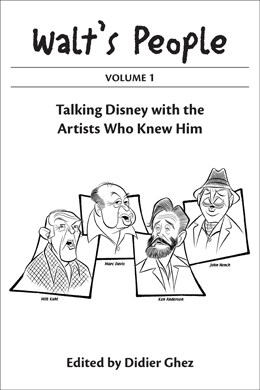 I went on to become a writer on film history and art… and when one day Taschen picked up a book on Hollywood in the Thirties for international release which I had made with artist Robert Nippoldt, I told him about my dream of doing a book on classic Disney. A book that would compile the best production artwork and add some unseen items from the ARL collections which I had already visited. I guess it was just the right moment. Taschen was just negotiating a deal with Disney. He is the biggest fan of Donald Duck and Carl Barks. Before he went into publishing he used to run a great comic book store in Cologne. DG: What were you trying to achieve with this book? DK: I wanted to create an experience similar to my childhood love for the Christopher Finch and the Maltin books. Finch was the first writer in 30 years to mention Albert Hurter’s work in a book. In later years, seminal books by John Canemaker, my long-time friend Robin Allan, J. B. Kaufman and you, Didier, introduced us to so many more masters who worked on these films. Finch spent two pages on Hurter’s work while still addressing a general audience not specialised in animation. This is what I am after: I see this book as the ideal, imaginary exhibition on Walt Disney. 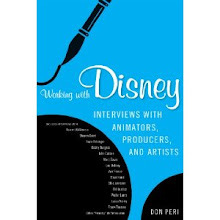 As a Disney enthusiast, you will find all the masterworks and lots of things that will make you dig deeper and deeper. Another aim was to re-write the canon of classic Disney. I have always adored the neglected package films. Make Mine Music and Melody Time have never found the recognition they deserve. In recent years, concert audiences learned about “The Swan of Tuonela” which is an encore at Disney concerts. But there is so much more in the vaults. I see Disney’s Golden Age as an experiment similar to the most ambitious renaissance workshops. Another ambition is to point out that Disney was as much interested in modernism that he was in love with late 19th century illustration. DG: You conducted a lot of research at the Disney Archives and at the Animation Research Library for the book. What do you consider as your greatest discoveries? DK: Thomas Hart Benton’s illustrated treatment for “Davy Crockett” might not be as visually striking as Dali`s Destino. But for anyone who loves American folk art and folk music this is a landmark work. I had inquired about this before as a researcher. But when Disney archivist Kevin Kern pulled this for me, it just blew me away. Another beautiful find is the pastel storyboard for another designated “South of the border” adventure to Cuba. When ARL archivist Fox Carney opened a package that had not been touched in many, many years I felt like opening an Egyptian tomb. There was one pastel of Donald dancing with some cigars. I never thought we would get a permission from Disney to publish this. It was John Lasseter who made this possible. 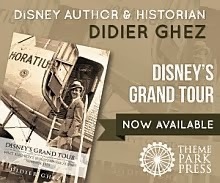 DG: Who are the Disney historians who contributed to the project? DK: Didier, you are one of them. We have Charles Solomon, J. 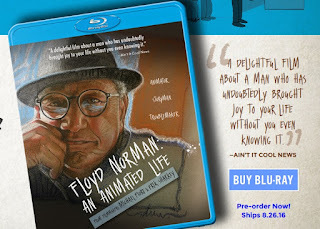 B. Kaufman, my childhood hero Leonard Maltin, Russell Merritt and J. 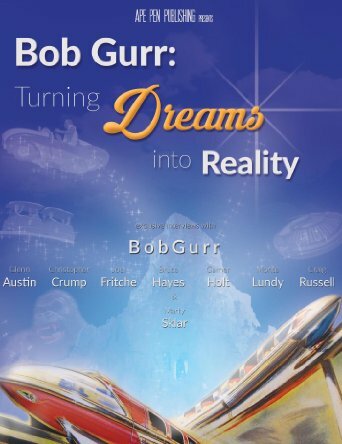 B. Kaufman, Mindy Johnson, Dave Smith who authorized a reprint of his seminal essay on the Space films for television, Brian Sibley, the late Robin Allan, two German writers, Andreas Platthaus and Katja Lüthge, and myself. DG: Are you working on more Disney-related books at the moment? 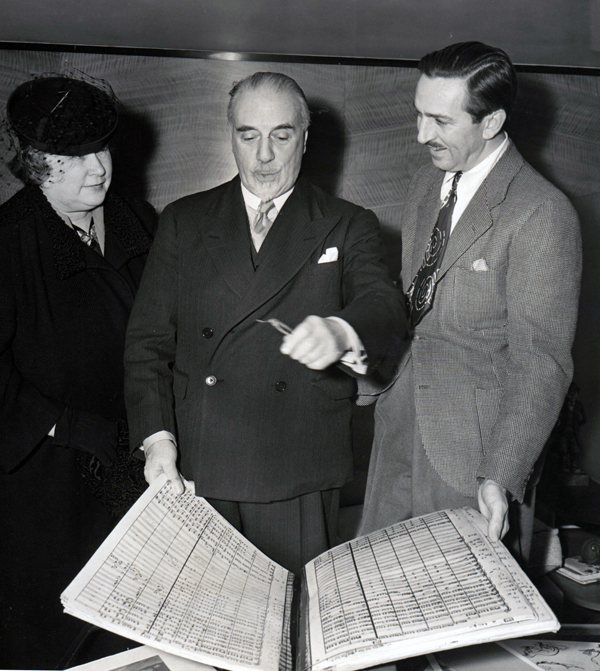 DK: Yes, the next volumes will be a monograph on Walt Disney, the man, a second “Archives” volume on the later films, and volumes on Mickey Mouse and Donald Duck. 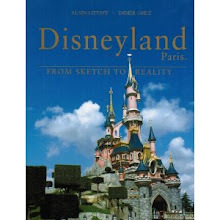 Taschen will also publish a volume on Disneyland. 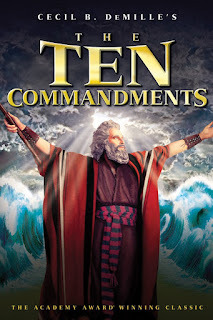 [I noticed this in an article on the TCM Website about DeMille’s ‘The Ten Commandments’! I had not seen this referenced before! Thought it might be of interest! Any idea of who the Disney artists were? Steven Hartley says: I recently found a article here on effects animator, George Rowley, and it appears he was an unc. animation supervisor on the special effects on the Cecil DeMille picture. 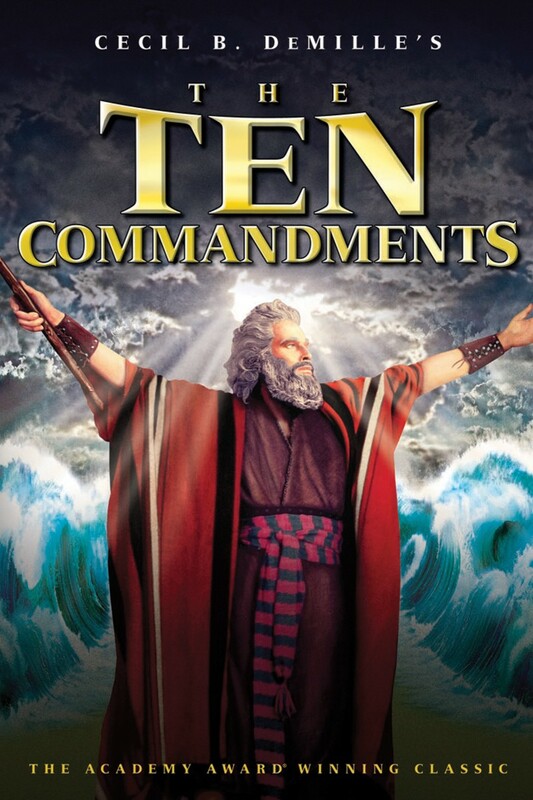 Todd Pierce says: The Ten Commandments work was done by Ed Parks and maybe others too. This collection of classic Disney comics has suddenly become a lot more interesting since I just heard that Michael Barrier had written some essays for it. I will pick it up ASAP. Cartoon Brew is offering a look inside the upcoming Taschen book. Definitely worth checking out! I hope this finds you well and you are enjoying your summer. I was hoping you could share this new website (just put on-line today!) with everyone who follows your web site. 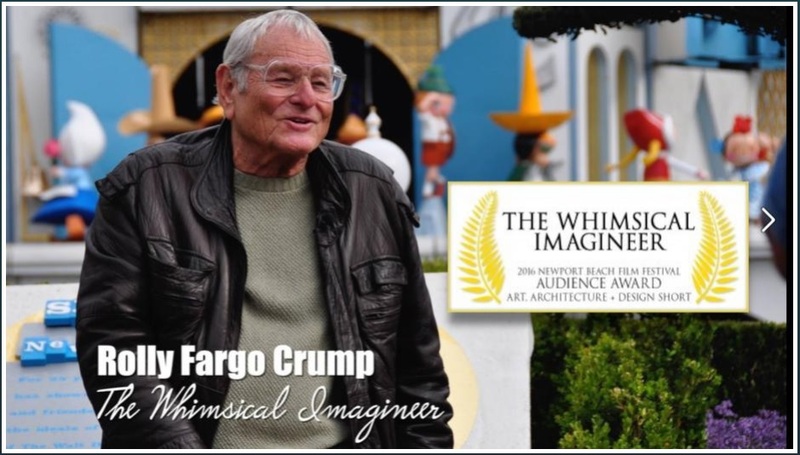 It is exclusively about the ward winning documentary "The Whimsical Imagineer" we've produced about Rolly. Lots is going on with the film (screening this month at WDI, film festival awards, WDFM Screening) so I want to give all of Rolly's fans and Disney fans updates on what is happening with the film. And we are slowly making progress with Disney to be able to distribute the film to the general public.